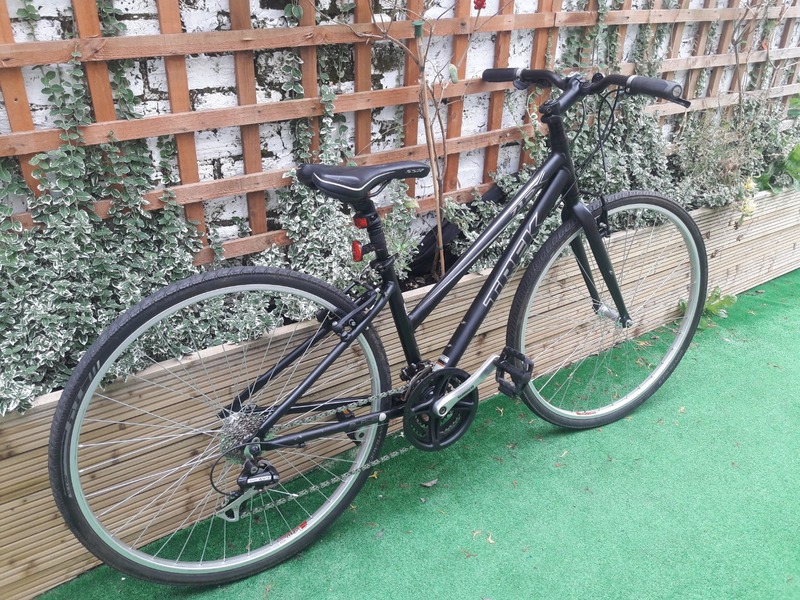 Ladies hybrid bike, bought second hand. Front and back clip on lights. Reflector missing from left pedal. Bike taken from secure location in garden.